Tony Douglas, group chief executive officer of Etihad Group, said the company will also “consider where appropriate” other areas of possible partnerships with Emirates Group. The two groups in January this year signed a deal to cooperate in areas of aviation security. “I think it’s fair say that as two partners from the United Arab Emirates that we’ll continue to consider where appropriate other things we can do together,” he said, without elaborating on possible areas. 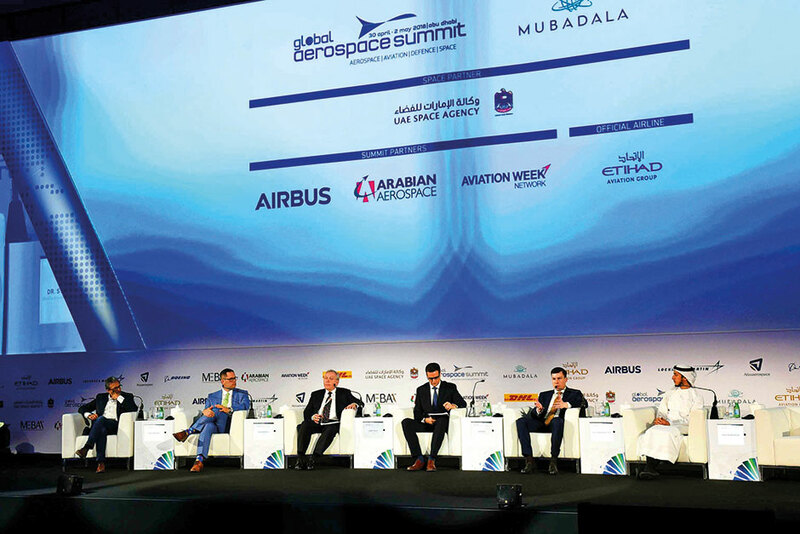 Douglas was speaking in Abu Dhabi at the Global Aerospace Summit where other speakers including top executives from flydubai, Air Arabia, Lockheed Martin, Rockwell Collins, Dubair Airports, and Boeing, among others. The Summit is focusing on advancements in technology and the fourth industrial revolution, and how those will impact the aerospace sector. Meanwhile, the unveiling of A380 in “Year of Zayed” livery is just one component of Etihad’s extensive initiatives taking place throughout 2018 which are based on the four “Year of Zayed” themes of wisdom, respect, sustainability, and human development. Guests travelling on this aircraft will enjoy a host of content and services inspired by the late Shaikh Zayed, including themed inflight entertainment, kids packs and a photo gallery of his life. The first Etihad initiative, the “Year of Zayed” humanitarian freighter, is also set to conduct its first flights for charitable organisations in May. 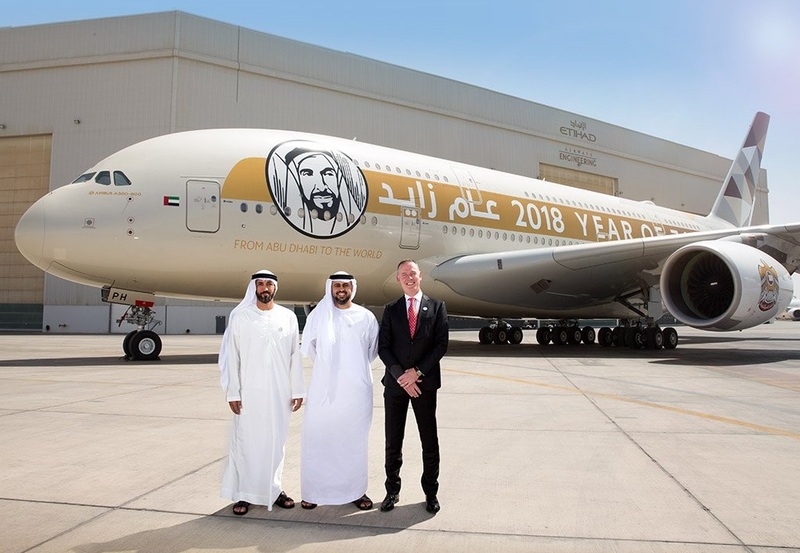 Shaikh Theyab bin Mohamed bin Zayed Al Nahyan, Chairman of Abu Dhabi Department of Transport, has inspected the specially-designed Etihad Airways’ “Year of Zayed” A380 at the airline's facilities in Abu Dhabi. Shaikh Theyab was joined by Mohammad Mubarak Fadhel Al Mazrouei, Chairman of Etihad Aviation Group, and Tony Douglas, Group Chief Executive Officer, Etihad Aviation Group, as well as members of the Etihad senior leadership team.